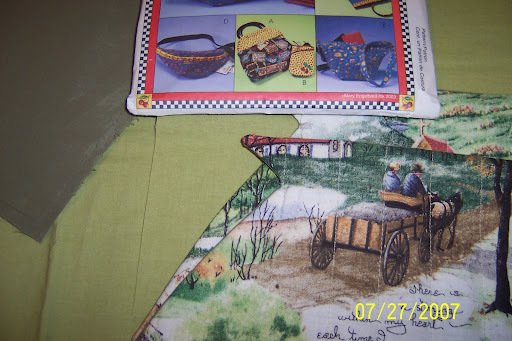 I am working on a purse for Bag Month over contest @ Sew Mama Sew. I wasn’t too sure about the fabrics I picked out for my purse but it is starting to look really cute! I love the Doris Morgan “A Little Bit of Heaven” print. I have been hard pressed to find any more of this fabric. I picked it out a few years ago to make Casserole Carriers. Not a new idea, but a great one. I also use Crates. I love them! Out of seven pics. this was the best one. The funny thing is that it’s the only one with an insect in it!